One of the most pressing topics on the minds of managers, executives and employees everywhere is the future of work. It is vital for them to understand what people need to know and what skills they need to possess in order to stay competitive and employed in a world increasingly dominated by information and automation. The answer is soft skills. This opinion is pouring in from a number of sources: management consultants like McKinsey and Deloitte; studies performed independently by private companies; and observations by leading edge entrepreneurs, including those whose primary footprint is in the freelance marketplace. Much of the force behind these converging conclusions comes from two sources. The first is a reflection of a quickly changing workplace in which artificial intelligence, machine learning, and robotics are doing work once exclusively human based. There are thousands of instances of where machines can operate more quickly, more consistently and less expensively than humans, and this has already changed the global employment landscape. As machines take care of much of the moment-by-moment processing of work, the element they still lack is found in the nuances of human relationships. Actions such as understanding subtleties of body language and context, actively listening to customers or employees, proactively managing situations based on both experience and wisdom – these are some of the soft skills that AI and ML have not yet mastered. One need only look at the Portrait of Edmond de Belamy to put this in perspective. 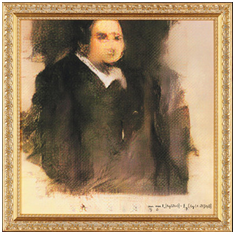 The painting, recently sold by Christie’s for almost half-a-million US dollars, was painted by an AI computer that had reviewed thousands of human-painted portraits spanning four centuries. The painting is unsettling in its lack of humanity, especially in that most essential communication vehicle of all: the human face. Jobs will change, intelligent machines will become increasingly prevalent, and the skills that humans will need to practice and present will focus on interaction, collaboration, creativity, problem solving, critical thinking, empathy and social perceptiveness. These will blend with changing attitudes towards education (lifelong learning in place of linear education). Most of the futurists who put these opinions forward as reiterate that AI and robotics will create more jobs, and not mass unemployment, but these jobs will change. There will be more freelancing. The World Economic Forum actually predicts that the majority of workers will be freelance in less than 10 years. The second stream of thought that points to the surge in demand for soft skills comes from the ongoing analysis of current management strategies as embodied by concepts such as lean Six Sigma. For decades, companies have tried to emulate the success of Toyota, whose approaches to continuous improvement and elimination of wasteful habits have become legend. As authors Fine, Hansen and Roggenhofer highlight in their McKinsey paper, From Lean to Lasting: Making Operational Improvements Stick, managers from companies the world over have tried to emulate kaizen and Six Sigma with varying degrees of consistent success. •disproportional focus placed on hard operational tools and approaches, such as just-in-time production. They point out that technical solutions are easier to deploy. They are objective and straightforward. They are often rushed into existence, leaving employees with a level of “innovation fatigue” and a resignation that each initiative is merely a lot of management-speak with little to support the improvements over the long term. The authors’ suggestions are standard: “involve management, improve communications, build a vision.” These are all very good ideas, but after 60 years, few companies have been able to beat Toyota at is own game. Even once-brash startups like Facebook and Google struggle with these concepts as they enter middle age. Consequently, the application of human soft skills will emerge as having even greater value as the global marketplace continues to gather speed. Decision-making, delegation and empowerment will be vital to split second deployments intended to protect the brand and bring in revenue. 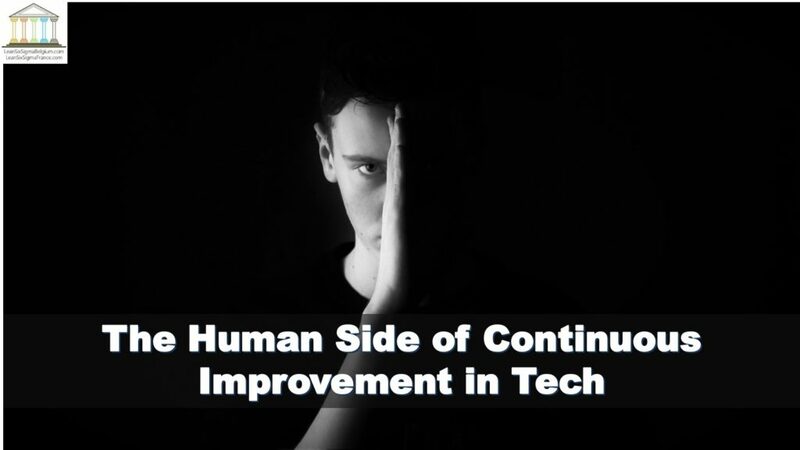 As I mentioned in previous posts (see The Uphill Climb: Seven Factors for Successful Lean Deployment, and Improving Continuous Improvement) such actions require diligent application of very human skills. These skills are soft only to the degree that they involve the human body and mind, along with its emotions and sensations, rather than the hard-edged ideas that describe physical machines. Perhaps it would be wise as a first step, to rename them from soft skills to human skills, to give them the gravitas required.